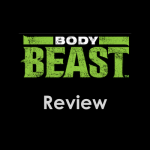 Our Body Beast review found that itâs by no means a bad program. Body Beast has a ton of advantages for someone who is comfortable with basic weight lifting movements, and has done some prior weight training before starting the program. 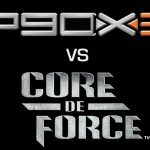 Both Body Beast vs P90X3 promise to build muscle, cut fat, and sculpt a lean body, but below we explain why P90X3 is better at making fun workouts that still get the job done. In total, there are 12 Body Beast workouts that you will do in the 90 day program. You work out six days per week with one day off to recover. P90X3 workouts follow a similar timeline, lasting for 90 days. A small difference is that the ârest dayâ in P90X3 consists of a stretching segment called Dynamix. Whatâs great about P90X3, as opposed to Body Beast, is that the program asks you before you start what your goals are before you begin working out. You can choose one of four âpathsâ to either tone up, lose weight, or add muscle. Based on which path you choose, the sequence of workouts changes. There are a total of 16 workouts that you will do no matter which path you take. Body Beast does something similar, asking whether you want to add bulk to tone up, but the programs donât change too much from one to the other. The P90X3 nutrition plan is basically the same as the P90X diet. You break your food choices down into three basic food groups: carbohydrates, fats, and protein. The program is meant to strip all the calorie counting tools weâre programmed to look for, and just rely on simple and natural foods. The Body Beast nutrition plan, on the other hand, is more tailored to the workouts you are doing, and since the goal of the program is to pack on muscle, you are directed toward a higher protein diet. Pricing for Body Beast vs P90X3 can be deceiving, as the initial cost for the workouts is cheaper for Body Beast, but it assumes you have the necessary equipment before you begin. If you are starting from scratch with Body Beast, you will need to buy dumbbells and a weight bench, which drives the price up quickly. Youâre also encouraged to have a pull up bar, but like P90X3, you can modify and work around not having one as long as you have weights. There are three levels of P90X3. As you go up in price, you receive additional workouts, and the Ultimate level provides you with some equipment. In all kits, you receive a workouts calendar and nutrition plan (though P90X3 is probably more detailed) to go along with the program. The Base Kit for P90X3 does come with a resistance band, but advanced users should consider buying free weights as well. Body Beast also comes with a workout calendar, nutrition plan, and some more information about the program. The biggest difference between Body Beast vs P90X3 is that the workouts for Body Beast are designed around weight lifting. Anyone looking to add muscle in 90 days as opposed to cutting fat in 90 days should consider Body Beast, as itâs workout schedule is developed around three one-month blocks designed to stimulate quick muscle growth. As you move from one phase to the next, you should aim progress to heavier weights, increasing muscle strength and size. Most workouts last between 30-50 minutes. Foundation weight training movements and introduction to different type of âsetsâ that will trigger muscle growth. Minimal cardio and strong focus on diversifying âsetsâ which should improve strength and size of muscles built in Block One. Cardio, circuit training, and weight training sculpts and tones while still adding muscle growth. Each P90X3 workout falls into one of four types: P90X3 Resistance, P90X3 Power, P90X3 Cardio, and Core, Flex, and Balance. These workouts, depending on which goal you chose, are all mixed together throughout the 90 days. There is less emphasis on heavy resistance training, but the good mix of cardio and muscle fatigue will work quickly to burn fat. Make no mistake, just because weights arenât required doesnât mean you wonât build muscle. There are great workouts in the Resistance and Power programs that will build lean muscle. Mostly upper body work that incorporates cardio and strength training. Explosive movements with little resistance meant to activate quick-twitch muscles. Lots of core work mixed in with some resistance and stability workouts. Yoga, Pilates and dynamic stretching for injury prevention and flexibility. 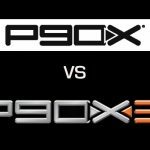 P90X3, plain and simple, is a superior program that will be more beneficial for most people. Our Body Beast review shows that it is a great program if you already have dumbbells and a weight bench at home, and your goal is to add bulk. 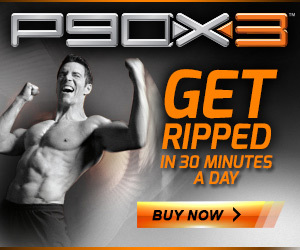 However, for those who are trying to cut fat, tone and tighten, or just get in to exercising, P90X3 is a better program. The segments are shorter and you can do the movements anywhere, not just where you have weights and a weight bench handy. P90X3 also has a great nutrition plan that makes sticking to your diet simple. Again, Body Beastâs aim is to pack on muscle, which is reflected in their diet. But, unless that is your top priority, you wonât lose as much weight or see the same results as the P90X3 plan. The P90X3 diet is also more sustainable beyond the program. In the battle of picking Body Beast or P90X3, the winner is the program that gets you results and doesnât require any previous knowledge of weight lifting routines — P90X3. First timers and experienced athletes can benefit from this workout, which is why theyâve had three successful installments thus far. Will there be a P90X4? Itâs possible, as theyâre constantly tweaking and improving on the original P90X, but the current P90X3 offers top notch training and should be considered by anyone looking for great at home workouts. P90X3 more versatile, customizable, and can be done anywhere. If you can’t decide, check out Beachbody On Demand and get the use of P90X3, Body Beast and all other Beachbody programs for only $8.25 a month (and 14 days free)! 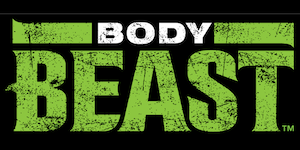 Body Beast Review: The Cheapest Way To Lose Inches And Get Ripped! Will I be able to practice my karate 2 days a week while following XDoor would that hinder results? Need additional workouts to compliment strength and physique while I continue martial arts without over training.